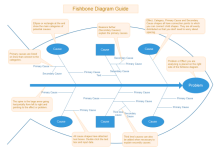 Here, the best platform possible for Fishbone Diagram users to realize their creative potential is provided, with all necessary tools to customize Fishbone Diagrams. Abundant templates and examples are available for free download. 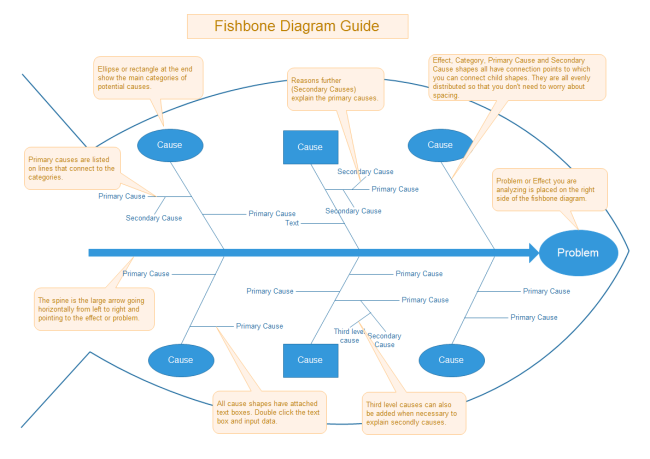 Though Edraw has included as many examples as possible, some users are really creative when creating fishbone diagrams through Edraw and need to customize their Fishbone Diagrams. 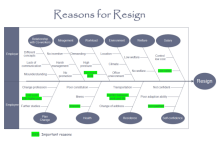 Amazingly, Edraw offers various ways to achieve this purpose. 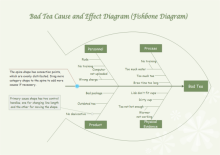 The simplest and fastest way to customize your Fishbone Diagram is to apply one of the preset styles from the Page Layout menu. There are 16 themes in total for your option. 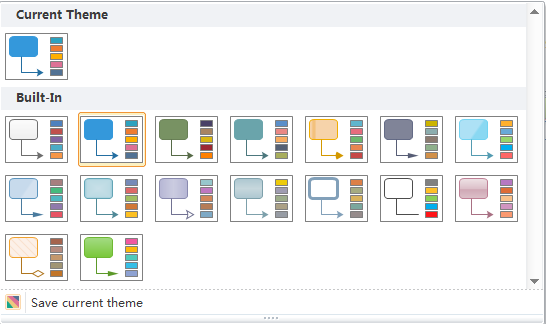 These themes will surely work magic on your Fishbone Diagrams. 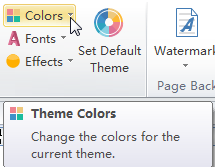 With just two clicks, a theme automatically enhances color, line style and font, in an instant. 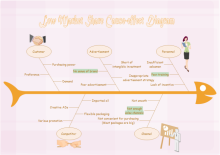 A wide range of clipart is included in the program. Users can easily access these clipart to enhance the diagram's visualization effect instantly. 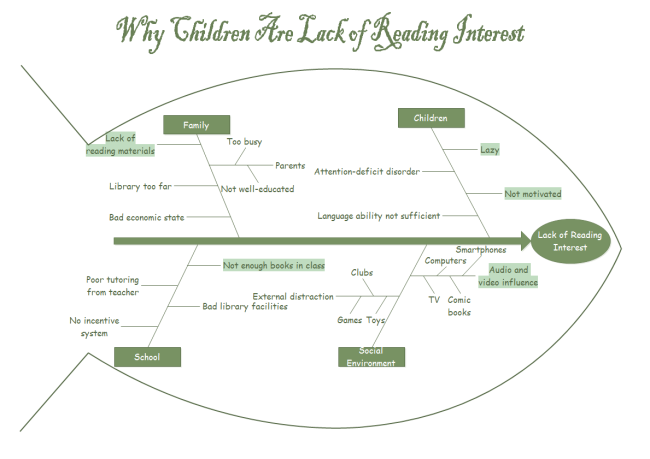 Here is an example. 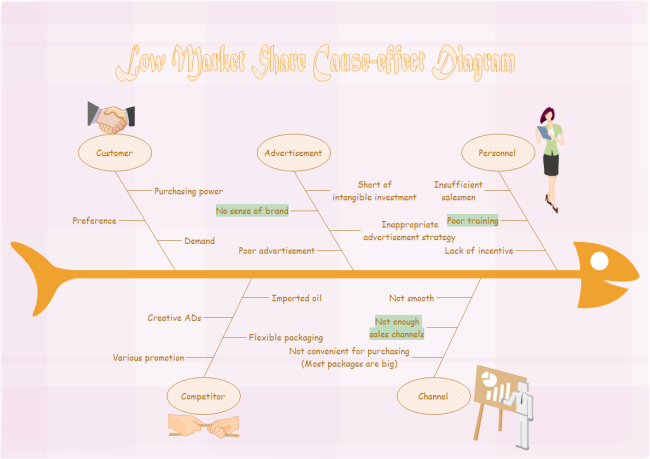 When listing the causes of low market share, the group of gesture shape can be applied. Shaking hands means collaboration relationship with customers. Click the image to see the entire example. 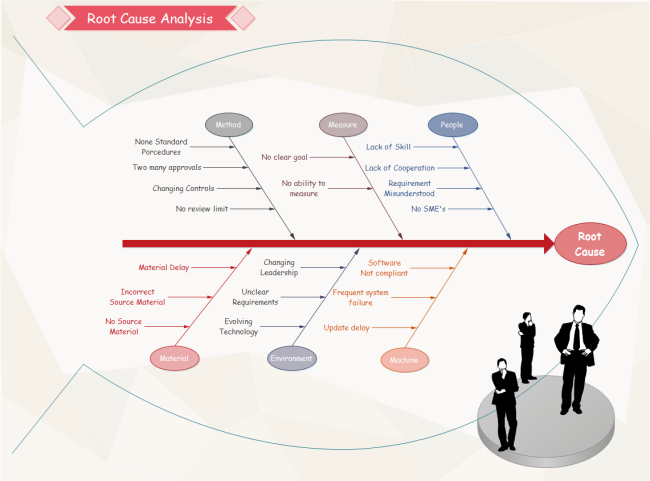 When there are many causes, it is necessary to classify them so that the diagram looks clearer. 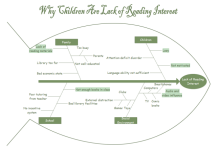 Category shape can help you organize factors better. 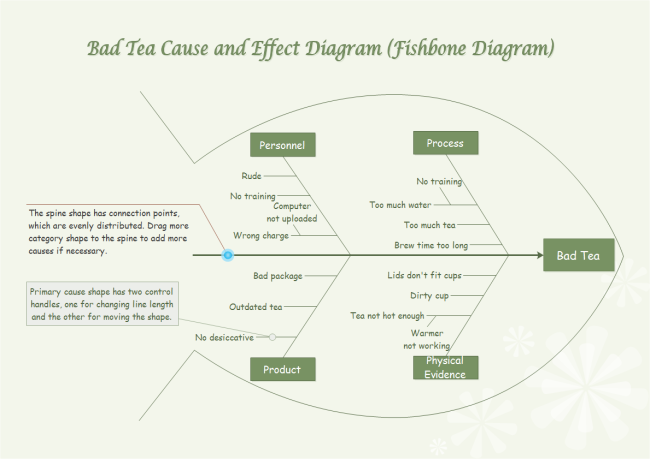 Every time you open a fishbone template or example, the fishbone diagram stencil including category shapes will open automatically. Drag the suitable category shape to connect with fishbone and text shapes. 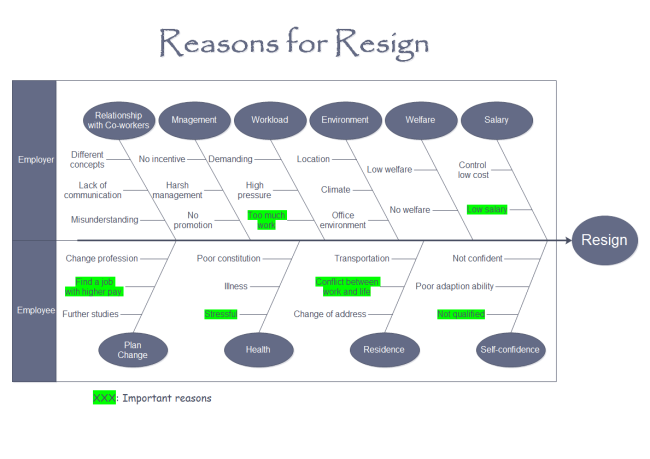 Learn using fishbone to improve working efficiency here.